More than just a door- It's a work of art! Glass is incredibly versatile; it can be fashioned to create a design statement, whilst at the same time dividing and creating different spaces and allowing light in. 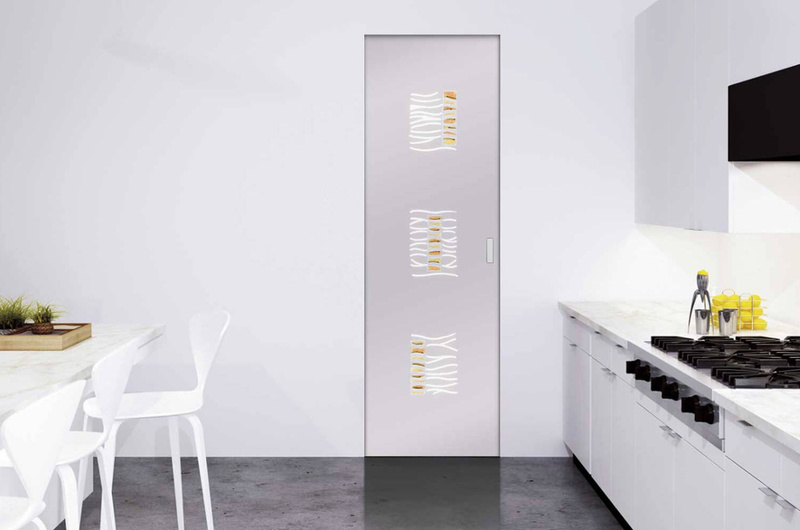 Beautifully combining function and artistry, our GLASS DOOR COLLECTION marries the reliability and innovative design of ECLISSE pocket door systems and ECLISSE ﬂush hinged doorframes with KARIS glass doors. 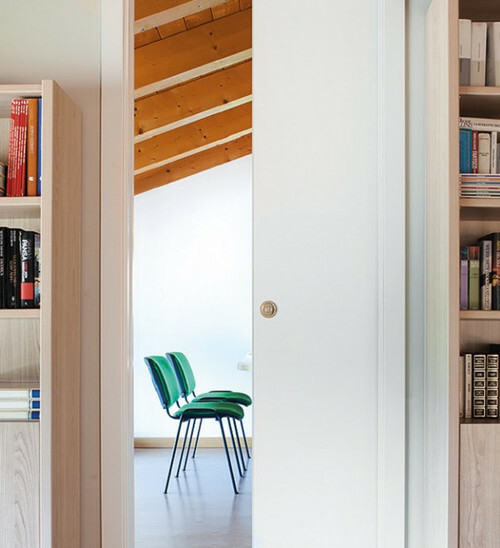 Divide a sitting room and a dining room, or a kitchen and a dining area with double glass pocket doors or a large single door to maximise natural light. 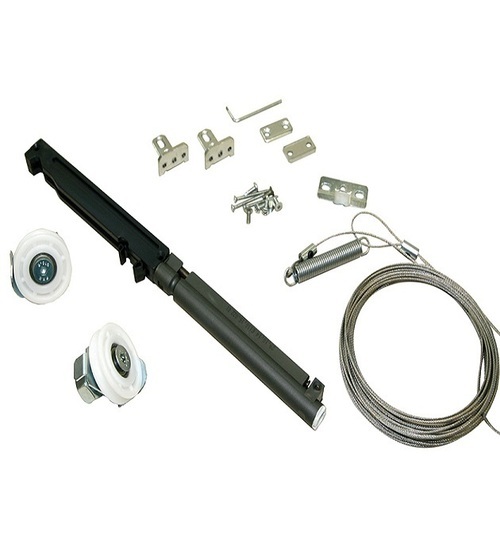 Transfer more light from a corridor to a utility room or from a bedroom to an en-suite bathroom without the need to add a window or a skylight. KARIS , based in the Veneto region of Italy, have been producing decorative glass products for over 25 years. Constant research and an obsessive attention to detail has resulted in a high quality product. 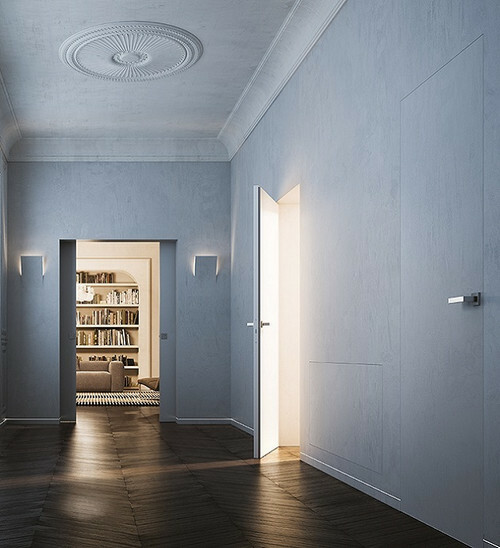 The glass used for the doors is produced using a modern production technique called the ﬂoat process, which results in a perfectly smooth surface, which is then tempered for maximum safety. The process KARIS use for adding design, decoration and embellishment onto the glass is highly skilled process performed by hand and not the result of mass production. TRANSPARENT GLASS & LOW IRON: Standard transparent glass has a characteristic slight green tinge to its edge. Low iron glass is perfectly transparent with no hint of colour. 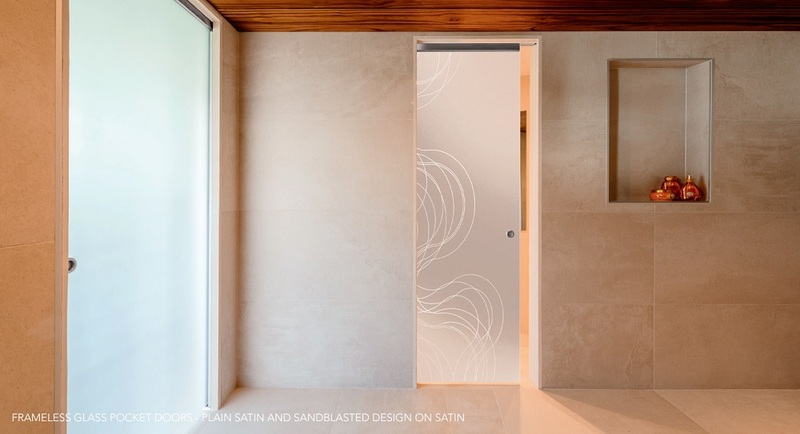 SATIN GLASS & LOW IRON: Satin glass is acid etched glass that is polished for an easy-clean finish. Satin glass allows light through but obscures what you can see. 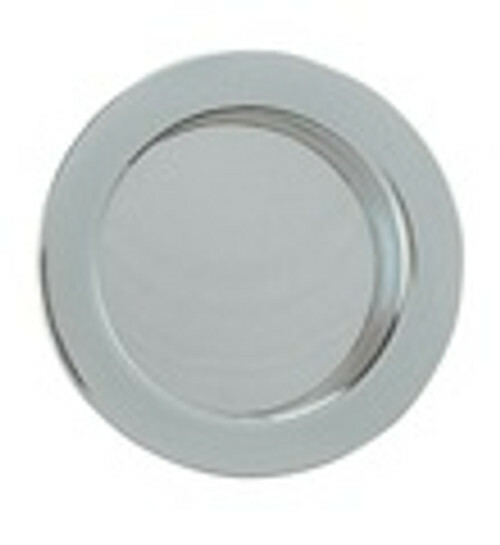 Low iron satin glass, is low iron transparent glass that has been acid etched. So like low iron transparent glass it does not have slight green tinge to its edge. What is satin glass? TRANSPARENT GREY OR BRONZE: There is an elegant appeal to a transparent grey or bronze frameless glass door panel. The grey or bronze tint gives the glass its smoked appearance and reduces the amount of light that passes through, but you can still see through it. SATIN GREY OR BRONZE: The satin grey and satin bronze is more obscure than its transparent counterparts. SANDBLASTING ONTO TRANSPARENT OR SATIN GLASS: During sandblasting the door is covered with a mask except for the areas which require the design. The areas that are exposed to the sandblasting become more opaque than the satin base. The door is then given an anti-marking treatment. PATTERNS ON DOUBLE POCKET DOORS: Some patterns for double pocket doors have a pattern on the left door and then a mirror image of that pattern on the right door. Other patterns like HAKA CHA, shown here, ﬂow across both doors to make one whole image when the doors are closed. 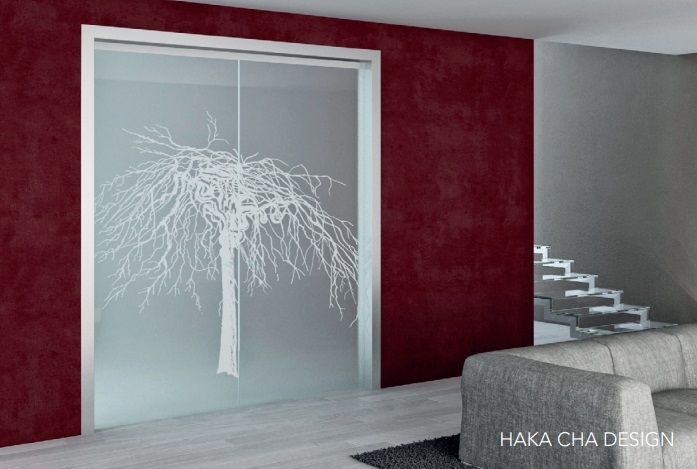 ADD YOUR OWN DESIGN: If you have a design of your own that you would like to add to a glass door just call us! We can accommodate most requests. 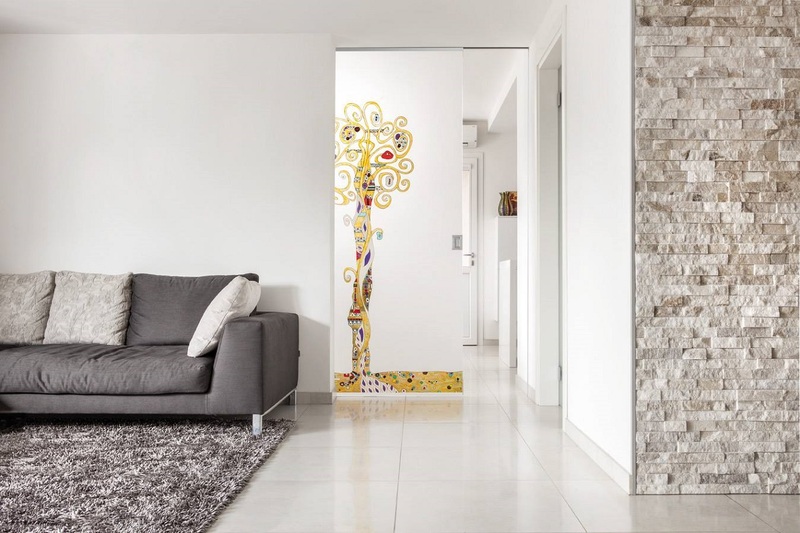 Colourful Murano glass tiles or “tozzetti”, are highly decorative hand-cut glass tiles added to a sandblasted design resulting in elegant and individualistic glass door oozing with Italian style. 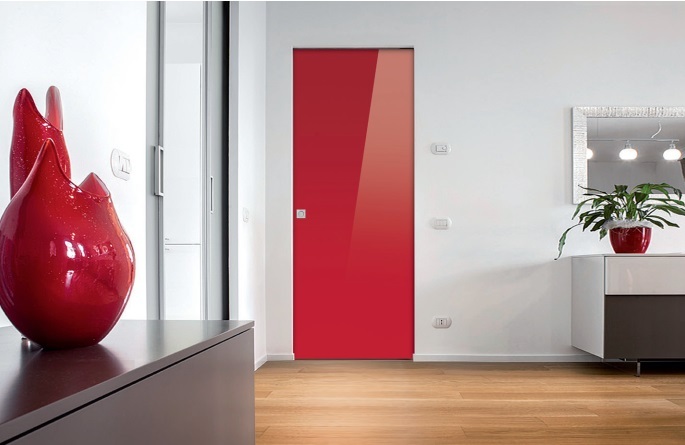 The tozzetti are UV bonded to the glass door resulting in an incredibly strong bond that is imperceptible to the eye, resulting a seamless design enhanced with colour and texture. 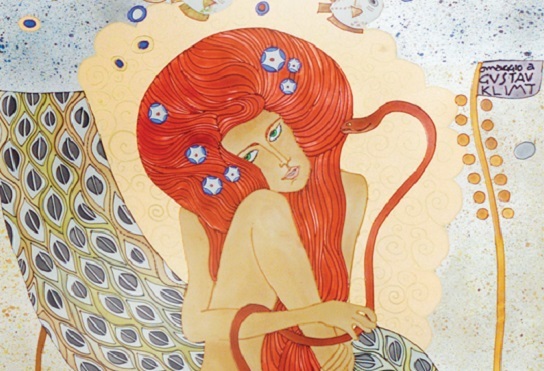 Every hand painted glass panel is a unique piece created entirely by hand involving many days of work by KARIS artisans. 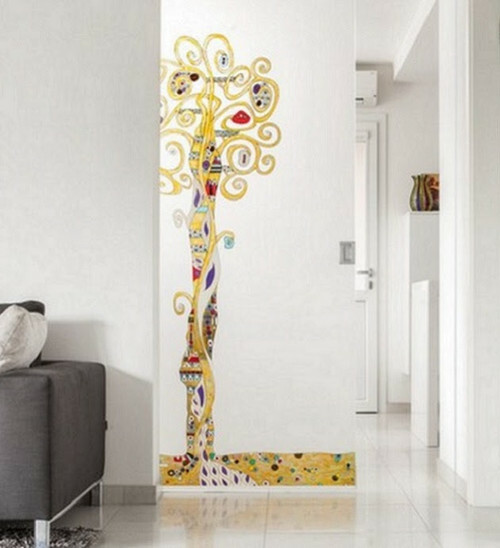 The combination of the stunning hand painted glass panel and the high quality ECLISSE pocket door frame results in a door that is both functional, and also a unique, hand-crafted piece of art. SATIN GLASS: Satin coloured glass doors have a light film of colour sprayed onto transparent glass to give it a translucent coloured glass fnish. One side is smooth, the reverse is matt. Satin coloured glass doors let light shine through. LAMINATED SOLID COLOUR: A laminated glass door made up from two sheets of 5mm tempered glass that sandwich a solid RAL colour flm. This allows you to have a different colour on each side for a truly unique impactful door. MIRRORED GLASS DOORS: This is a variation of the laminated solid colour glass door where both 5 mm tempered sheets of glass laminated together have a mirrored surface. It is possible to have mirrored one side and a solid colour the other.